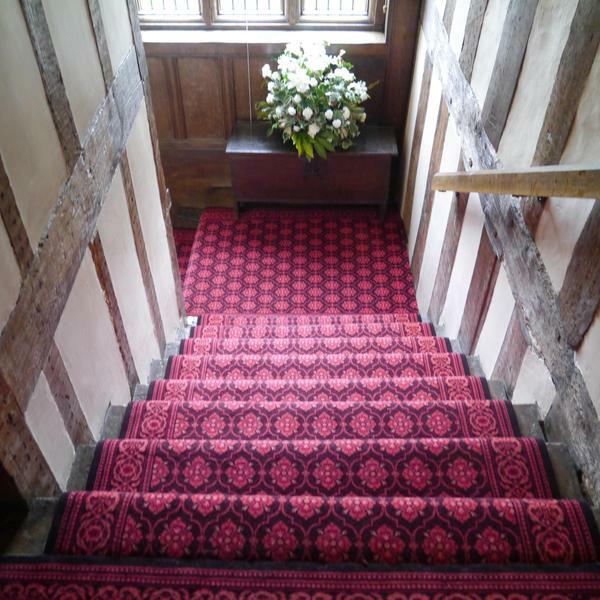 Brintons, has helped the National Trust to recreate history at the iconic manor house, Baddesley Clinton, by supplying 19th Century designs from its vast archive. 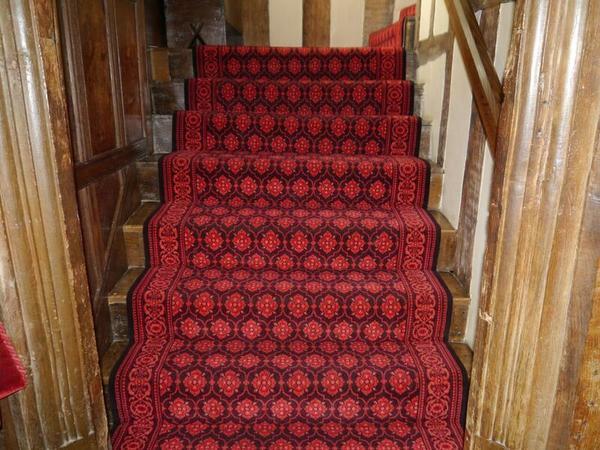 As part of a re-furbishment project to replace a worn out Wilton runner, Curator for the National Trust, Andrew Barber, approached Brintons’ archivist, Yvonne Smith to find carpet designs that reflected the individuality of the home and its former owners – the Ferrers family. It was a wonderful experience visiting the archive and working with Yvonne to explore the original point patter papers in order to really get a feel for the designs and the period that they encompassed. As the Ferrers were a well known Roman Catholic converts, we wanted to choose designs that reflected their religious learnings as well as the Victorian taste that features largely in the property. As stained glass windows, rich oak beams and ochre-washed walls appear throughout the house, we wanted to discover designs that did not merely coincide with the interiors but created a perfect balance between them. 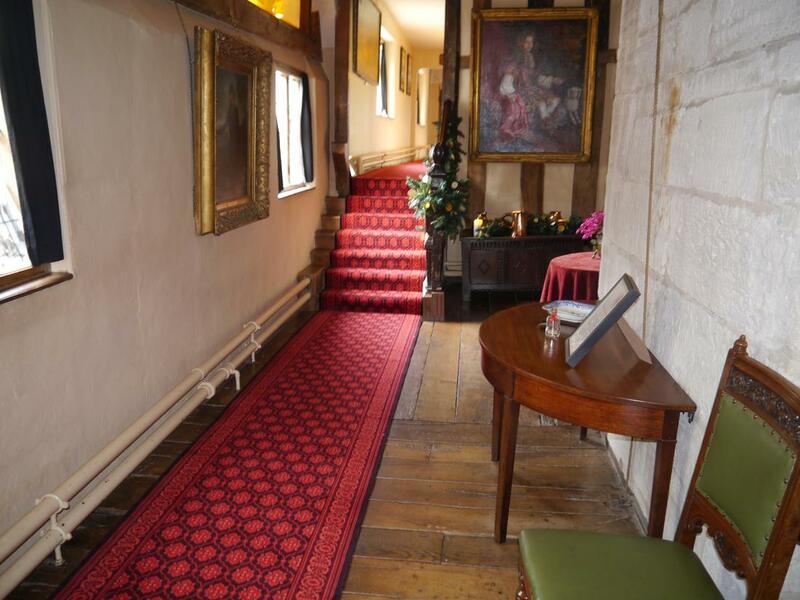 To judge by the positive comments we have received from visitors this seems to have been achieved. 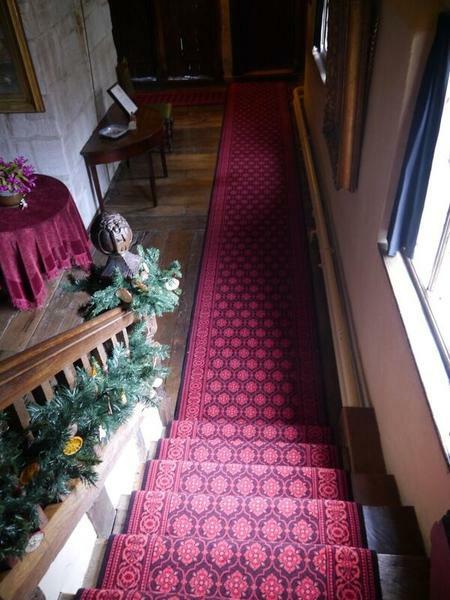 Two separate patterns were chosen for the field and border of the carpet to create one cohesive design that reflected the chosen period of 1870 – 1885. 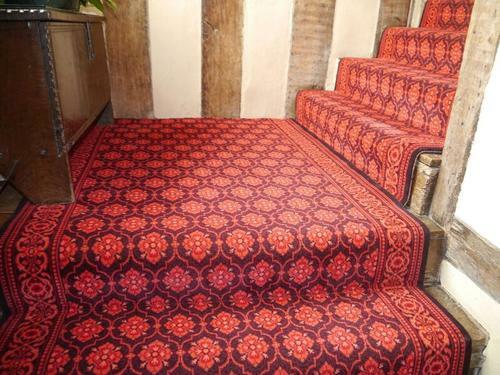 These were fitted on two staircases and two main corridors of the property. 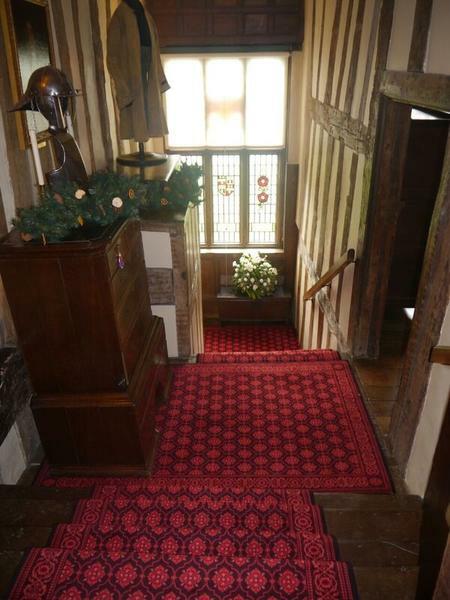 The carpet design perfectly reflects the character and spirit of the Ferrers family and it was a fantastic opportunity gradually and gently to increase the individuality of the house. 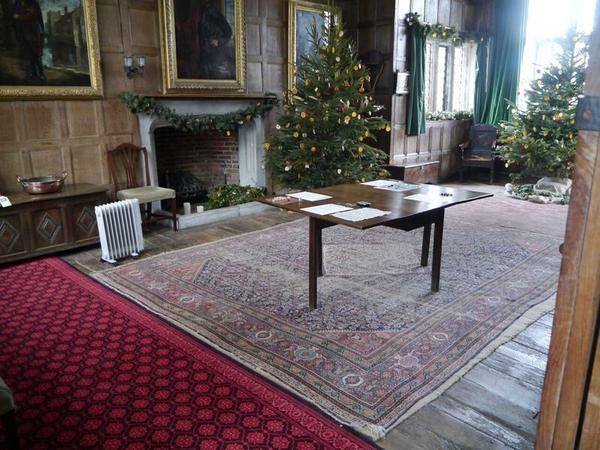 Built in Wariwickshire in the 13th Century, Baddesley Clinton is a Grade 1 moated manor house owned by the Ferrers up until 1980 when it was passed to the National Trust. 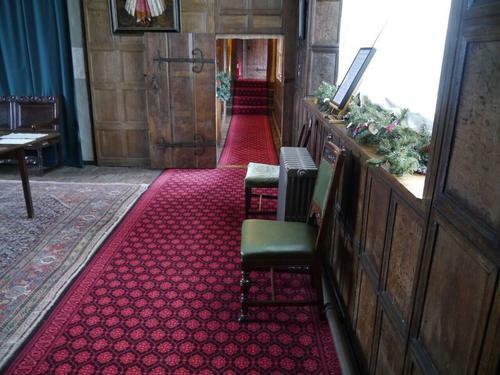 Having no evidence of original carpet patters to replicate, Andrew visited Brintons’ archive to find designs from the 1870’s and 1880’s to evoke a design that would sit comfortably with the historic interiors. With the help if Yvonne, six potential designs were chosen, featuring different field and border designs constructed of geometric shapes and intricate colour patterns.